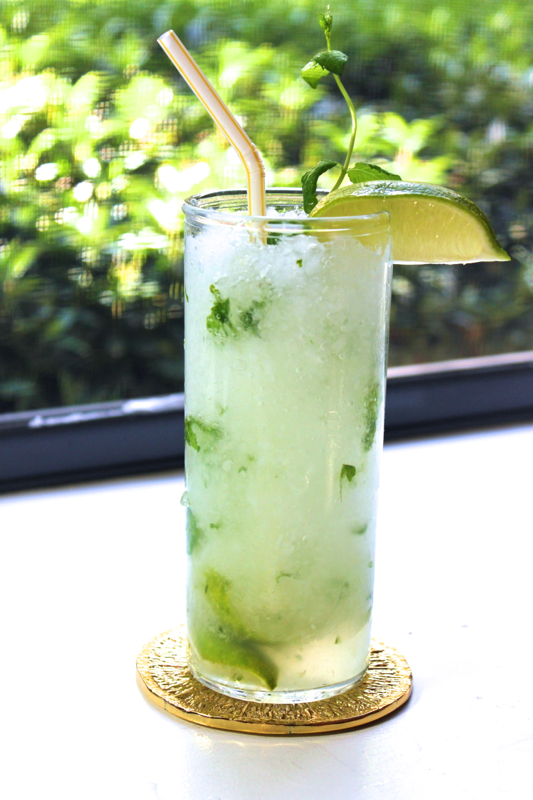 Despite having a husband who hails from Miami, I first learned to make mojitos in Paris at a cocktail class. Now that my mint plant is excessively overgrown, mojitos have been on the menu. One of my favorite parts about this cocktail is the crushed ice because it looks pretty, and it’s great to chew. So grab your muddler, and let’s get shaking! To make mojitos, start by preparing a simple syrup. To a small pot, add equal parts water and sugar. I used 1/2 cup each of water and sugar. You can store any extra syrup in the refrigerator for a later use. Turn the heat on low, and stir the mixture until the sugar is completely dissolved and the water is clear. Let the sugar syrup cool. Then, get your lime and your mint. 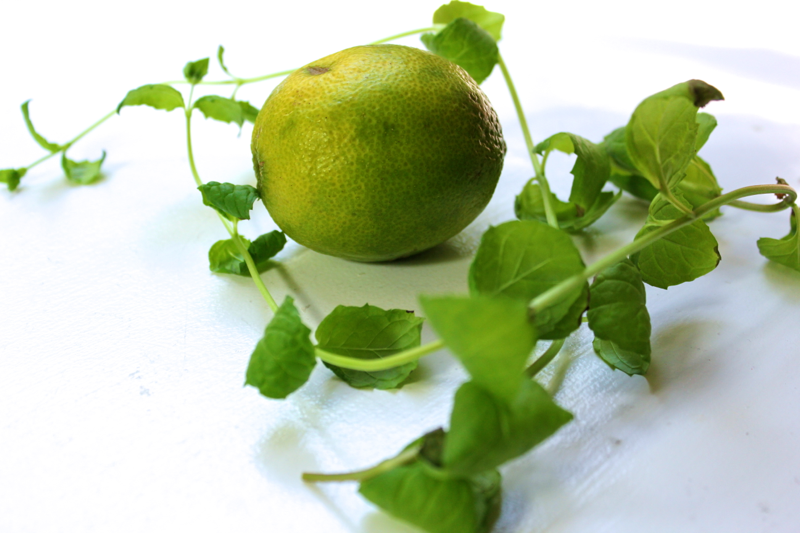 Quarter the lime, and pluck about 10 mint leaves. Put the mint leaves and 2 pieces of lime in the bottom of a glass. 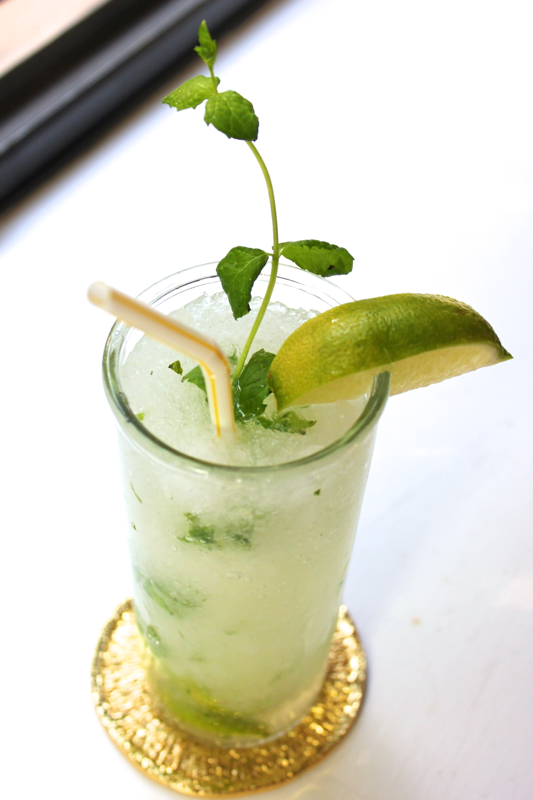 Use a muddler to crush the lime and the mint very well. Then, pour 1 shot of rum and 1/2 shot of simple syrup into the glass. Any kind of rum will work, but I used a white rum this time. Using a blender, crush some ice. Fill the glass with the crushed ice, and then top the glass off with sparkling water. 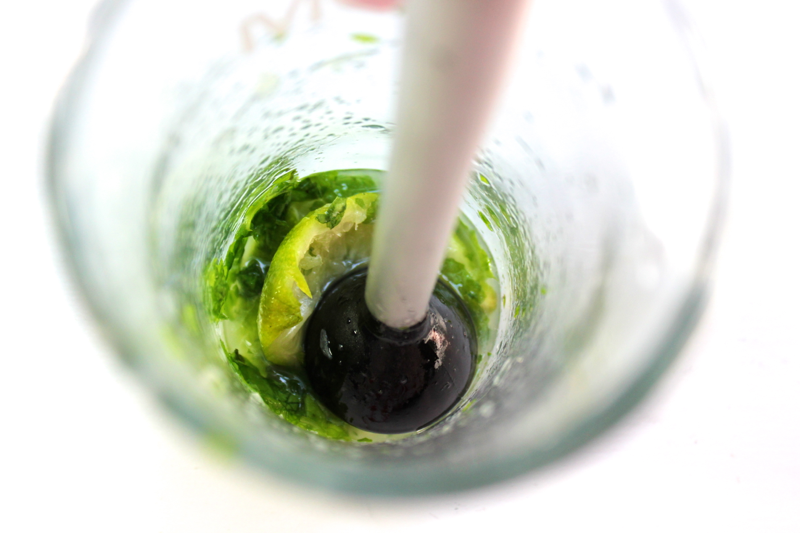 Stir the mojito to distribute all of the ingredients throughout your glass. Garnish the mojito with a lime wedge and a sprig of mint. Then stick in a straw, and sip away. Try to squeeze this one in before summer slips away for good! Sounds very refreshing. None for Stella. Thanks for sharing.